Our motel is a "Gem among the Giant Sequoias" offering a perfect combination of modern conveniences with a local flair. We have created an ambiance of a country inn with quilted bedspreads and renditions of local scenery by Barbara Fracchia. We are conveniently located on Main Street at the North end of town. Our ideal location makes us an excellent destination for business and leisure travelers alike. You can start and finish your personalized walking tour of historic downtown Murphys on our doorstep. While walking the streets of Murphys you may enjoy many wine tasting rooms, eateries, apparel, gift and antique shops, art galleries, and specialty stores. 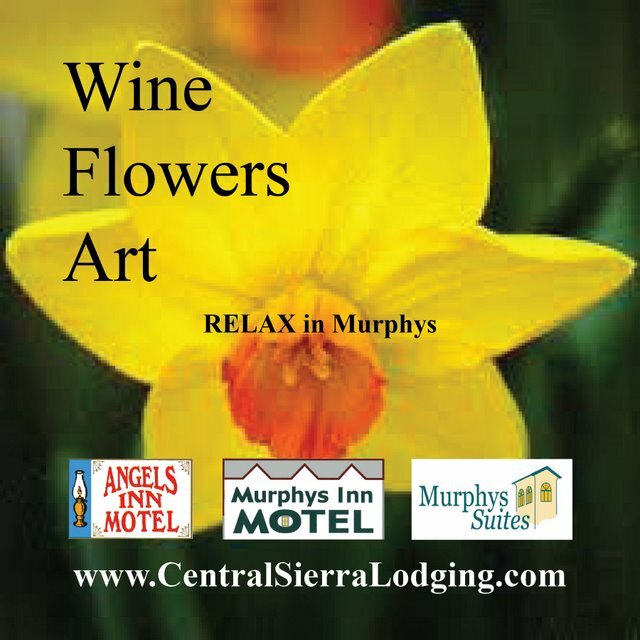 Murphys Inn Motel also has close proximity to exceptional golf, 11 lakes, caverns, community theatre, summer concert series, Big Trees, and Yosemite. We hope that a stay with us will provide you with both comfort and relaxation and leave you wanting to return soon. We know that traveling can be stressful at times and our goal is to make your stay with us a memorable and comfortable one. Our hotel offers the perfect combination of Country Charm and City Convenience. The historic ambiance of Calaveras County is captured in our one of a kind photo collection exhibited throughout the motel. Visitors to Angels Camp and the Mother Lode are eager to learn about our past resident, Mark Twain, and partake in the jumping frog jubilee or just follow the frog walk of fame in historic Angels Camp. We are conveniently located on Hwy 49 one mile North of the Hwy 4 intersection. Our motel is an ideal destination for business and leisure travelers alike. Angels Inn Motel has a close proximity to exceptional golf,19 wineries, 21 tasting rooms, 11 lakes, art galleries, antique shops, caverns, theatres, summer concert series, Big Trees, and Yosemite. We offer our guests exceptional, personalized service including complimentary espresso drinks, Oreo cookies and vacation packages. We hope that a stay with us will provide both comfort and relaxation and leave you wanting to return soon. We know that traveling can be stressful at times and our goal is to make your stay with us a memorable and pleasant one.